I'll start off by saying that this recipe is not as diet-friendly as I think it ought to be. It's supposed to be for Weight Watchers, but at 8 points per serving for a chicken breast, it seems a bit high. That said, my husband and daughter loved it. It was even requested that I make it again. My son didn't try it, but that doesn't count! He's what we like to call a picky eater! I liked it, but still, the Parmesan Chicken was my absolute fave so far! I'll add this one to the list, though, seeing as my family enjoys it so much. Preheat oven to 425 degrees. Spray a baking pan with nonstick spray. In a small bowl, combine dressing, salt, pepper, dill weed and scallion. Remove 1/3 of the mixture and set aside. Put corn flake crumbs in a shallow bowl. 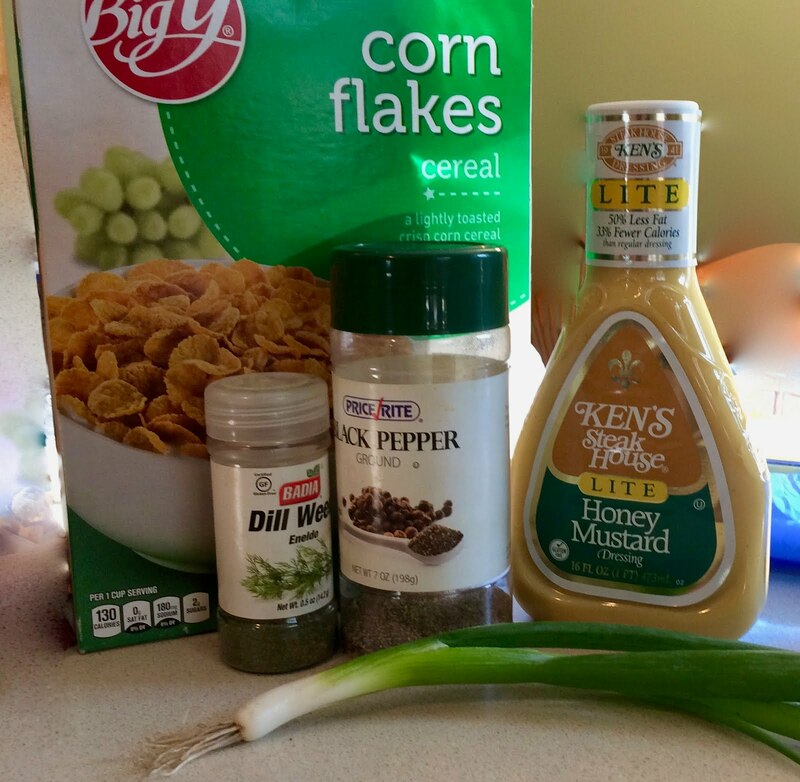 Dip chicken into 2/3 remaining honey mustard mixture and then into corn flake crumbs. Then place chicken on baking pan. Discard any leftover honey mustard mixture that touched raw chicken. Bake about 15 minutes or until chicken is cooked through. 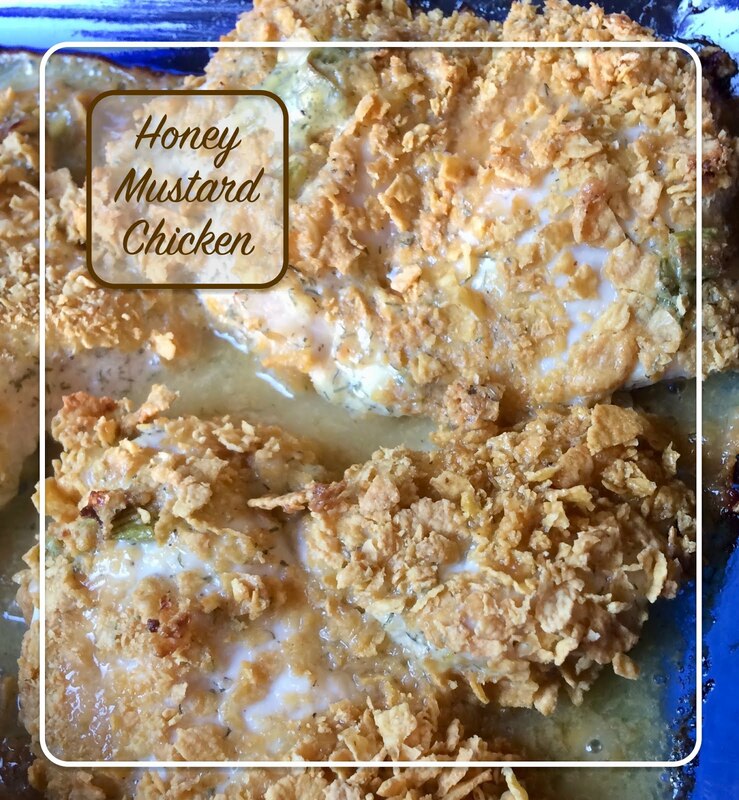 Remove from oven and pour 1/3 honey mustard mix (that did not touch raw chicken) over the cooked chicken. If you don't eat all that much honey mustard dressing, shave off a few calories and a point or two. I didn't even need any extra. It was very flavorful without it. All nutrition information is approximate and is calculated at caloriecount.com.